Get the latest information from Healthmark Group Medical Billing. We have created our new website! 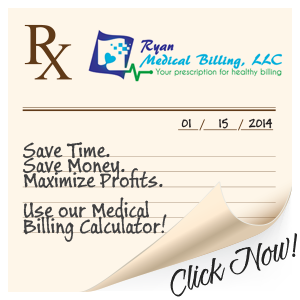 Ryan Medical Billing is based out of Ocala, FL, which puts us in the very Heart of Florida. We service areas not only in the Ocala, The Villages and surrounding areas, but also throughout all of Florida. Ryan Medical Billing provides expertise medical billing services with processes and technology that maximize your reimbursements, thereby improving your cash flow and increasing your profits. Outsourcing your medical billing has many advantages and many healthcare providers are becoming increasingly aware of how a qualified team of billing and coding specialist can reduce their workload and increase their profits. Medical Practices on average are underpaid approximately 14% to 23% of their gross revenues that translates into $30,000 to $50,000 annually per physician. Don’t let this happen to you!